Cherry Wooden Wishbone Hangers (Box of 50). 43cm wide (430mm). Beautifully crafted cherry wooden hangers shaped in contemporary satin finishes with black hooks and fittings. 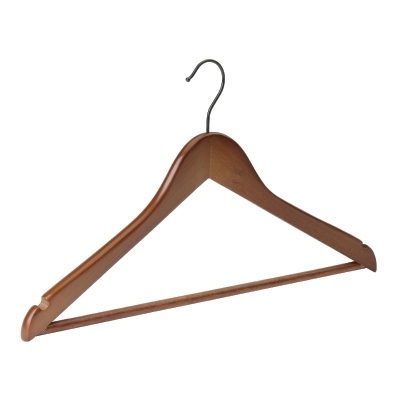 Sophisticated cherry wooden clothes hangers are suitable for retail stores at the high end of the market and also for those looking for stylish looking hangers for domestic use.